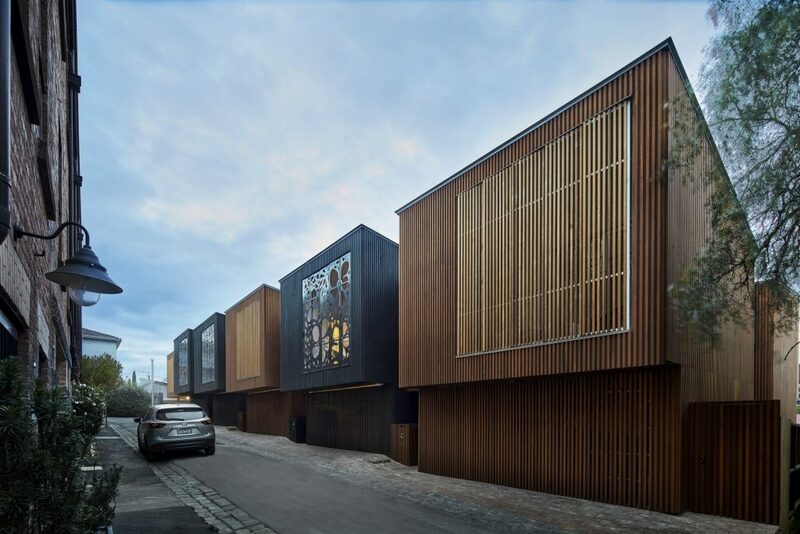 Melbourne Design Studios have won the 2018 Building Design of the Year for their ‘No Two The Same’ project: six townhouses designed in response to the Melbourne climate. Each townhouse offers a holistic and contemporary approach to sustainable design and passive solar design principles. The concept design won the 2013 BDAV 10 Star Challenge in the Multi-Residential category (Sustainable Inner City Living) and achieved an average 7 Star NatHERS Rating across all townhouses. The judges said the planning response, the design of the layout, the interior design, the design execution, the thoughtful and respectful use of materials, this really is the end result of all these design elements coming together. Further, in a project that fully challenged the resolve of the building designer, Melbourne Design Studios have exceeded expectations. This contemporary, highly-crafted design reflects the craftsmanship associated with the area’s industrial past, sitting comfortably within the surrounding urban fabric. A minimalist, but warm and welcoming house design, both the natural and urban environments blend seamlessly together. The timber elements, the beautiful laser-cut screens, a sustainable design approach, the natural light-filled interiors, the thoughtful use of courtyards and north facing gardens, and integrating rooftop viewing areas of the city, have culminated in an outstanding design for this years Building Design of Year. To see this, and all the winners, CLICK HERE. The winners are all featured in this year’s AWARDED magazine, able to be viewed by CLICKING HERE. The Awards were proudly sponsored by by COLORBOND® steel, WoodSolutions, and Webber Insurance Services.